Roads of Rome II is rated 4.4 out of 5 by 42. Rated 5 out of 5 by DeeGrace from Great time management game! and FUN! I like this game more in the relaxed mode... relaxing game to play! Rated 5 out of 5 by 33pmartin from Very much enjoyed, a good challenge. Great animation, challenge and fun. Rated 5 out of 5 by BF_Missy from Plan on getting hooked! R of R II is brilliant in all categories. Different landscapes, vivid colours, amazing scenes, challenges, strategy, much harder & much more interesting & challenging than R of R 1. This game is not boring at all. I can't wait until R of R III is available in the Mac version. Do I recommend this game? "Absolutely". Rated 5 out of 5 by GrayGriff from Great Time Management Fun I love all three versions of this game. Play it hours on end. They have so many challenges that require constant thinking and prioritizing. Fun! Fun! Rated 5 out of 5 by Winklepots from Be a Road Warrior! This is such a fun time management game. If you like My Kingdom for the Princess, you'll enjoy this series. Graphics: Really nice, beautiful. Music: The music fits with the theme of the game and doesn't intrude on play. Game Play: You complete tasks such as building helpful structures such as sawmills, gold mines and pig farms; you'll also mine crystals and build roads, among other things. 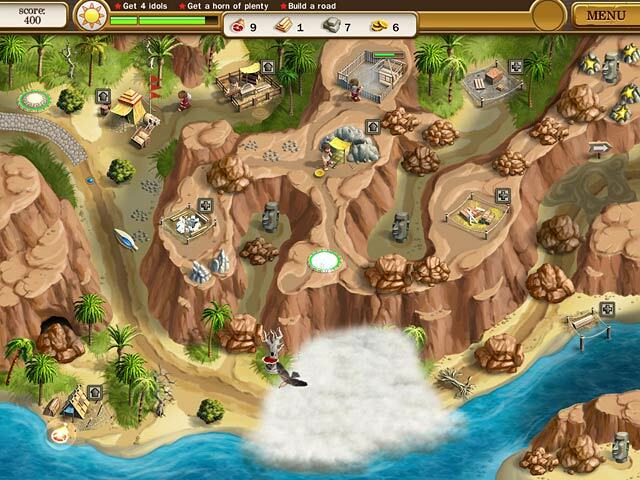 There are two or three main goals in each level and you accomplish them by gaining resources to complete them. 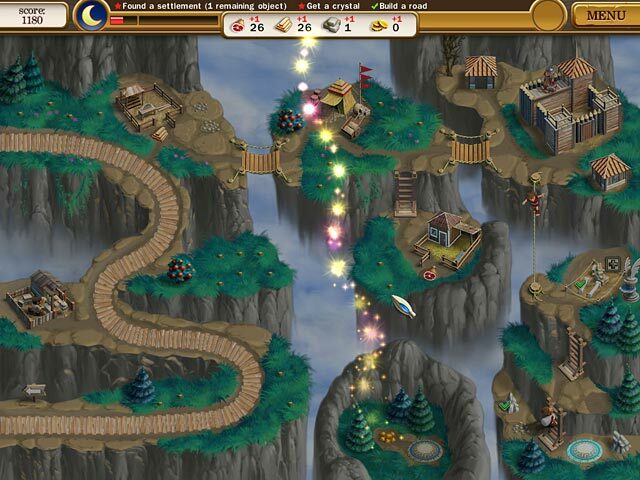 Length: Several hours, especially if you replay a level to get Expert. There are 40 levels and 1 bonus level. Challenge: Some of the levels are pretty challenging to finish with an Expert rank, but I have completed the game with Expert on all levels and when you do there's a bonus level to play at the end. If you get stuck, there are great tips in the forum on completing the more challenging ones. Play Again: Yes please!! Rated 5 out of 5 by saulsangel from Excellent Sequel - Highly Recommended! This is the sequel to the already brilliant game 'Roads of Rome'. It has many new features & challenges, such as the rope bridges, teleporters, fog that you have to clear by paying certain characters. Very similar gameplay to 'My Kingdom For The Princess' which I think this is a take off of, but I like them both equally as they both have different challenges and features. This game certainly makes you think about what you are doing as the levels get increasingly difficult, which is good for me as some other games I have played have been too easy and I've finished them in a couple of hours.. this one kept me going for week lol. Rated 5 out of 5 by EHinSF from Great strategy and time management game I started this series by playing Roads of Rome III, which has extra features (ie- fires) to conquer to complete each level, and is harder than this game. Since I enjoyed Roads of Rome III so much, I bought this game too, thinking it would be much easier, and up to about 20 levels it is easier but every bit as much fun. I'm now on levels that are just as challenging as Roads of Rome III, and glad I bought the game. It's very well done, each level is just a bit different, adding different challenges. I'd recommend this game to anyone that enjoys strategy and time management games and look forward anxiously to Roads of Rome IV. Rated 5 out of 5 by hookedfish from Time AND logic challenges I love this kind of game when it is this well done. I have many, many levels still ahead of me, but each is, of course, successively more challenging. I try to take a look at the entire landscape before starting, but often I will end up choosing to 'run it again' once I've been through a course to improve my finish time. Fun! Rated 5 out of 5 by chills56 from Addictive The game is fast & very addictive. You build your way through the levels. You can also spend hours & not even notice. Rated 5 out of 5 by Dinkle2 from Good time management game I really like the roads of rome series. The game gets more challenging while going through and I spent some time trying to reach gold on each level. If you like time management games then you will love this series. Rated 5 out of 5 by Ratatouille from Beautiful varied levels and great gameplay! New buildings, new terrains, new options! The first one in the series was great already, and this one's even better with the new features added! The gameplay is very similar to My Kingdom for the Princess, but I like the Roads of Rome series more. I think it has prettier graphics and animations, and it's a bit less frantic and stressful. Also, there are no "in-between/bashing" levels to spoil the fun, as in MKFP. The levels are varied, lovely to look at, and very well thought-out. The timing to finish each level was just right for me, even though I'm usually not the greatest with timed games -- not frustrating in any way. You can't go wrong with this one! Rated 5 out of 5 by MagicPig from Challenging and fun I just finished all of the levels, liked this one better than Roads of Rome I. It is challenging and changing enough to keep you playing. Rated 5 out of 5 by klindsey6 from My ALL TIME favorite game so far! I enjoy certain kinds of time mgmt games and this one tops the list. I could play and replay this game over and over, it's just that fun and was that challenging! Rated 5 out of 5 by sjmiller05 from Gets More Challenging as you Go This game is one heck of a challenge when attempting to beat required times. The game seems to last forever and I have caught myself spending hours playing this. It is worth the purchase. Rated 5 out of 5 by chandari_310 from Roads of Rome 2 - Strategy I love this game. I enjoy the time management games, and this hits that with an extra dose of thrill. Trying to build things and complete the tasks in the time allotted can be a real challenge. I've had to redo some levels multiple times to win the best medal/score on those levels. It's got sort of a puzzle quality to it, while it has a huge time management factor to it. Love it! Rated 5 out of 5 by dragonfly1410 from Loved the first Roads of Rome and glad to see a sequel! Great game for all ages! The increasing dificulty makes it challenging. Rated 5 out of 5 by Isator from Great Strategy / Time Management Game I love these kind of games !!! It was a bit to easy for me and way to short, would love to have much more levels. But besides that, awesome game !!!! Rated 4 out of 5 by cowclaudia from fun game with no brain drain If you're looking for a game to wile away the hours without maiden in peril, doom and gloom, and running back and forth from one scene to another you'll enjoy the Roads of Rome games. There's really no challenge to them - construct buildings and build roads (have to admit RoR III was harder) but the music is good and fits the era, instructions are clear and love watching the little workers run around especially the one who doesn't seem to like to be in boats - whimpers every time he has to get into one and cross a lake/ocean, what have you. So, if you're looking for a relaxing game you won't go wrong on this one or the other RoR. Rated 4 out of 5 by opy1130 from Great Game Played one and two. This is the best so far. Love the challenge in the final stages and the bonus stage was a great challenge. Looking at getting number 3. Play the first one before this one for the good story. Both games are worth a play. Rated 4 out of 5 by DrDavid from Not a bad game to pass the time Where ROADS OF ROME I missed so badly for enjoyment, the game writers scored a hit with ROADS OF ROME II. 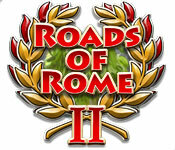 ROADS OF ROME II has a ‘Relaxed’ mode for those of us who play for fun and not as some competition against a clock. Without a clock to tell you that you missed the time and need to play that level again, this game scores high on the fun scale where ROADS OF ROME I was a total zero. The animation is clever and fun to watch and the story changes a little bit from level to level. All in all this is a fun and very addicting way to spent time. Rated 4 out of 5 by catsholidayhome from Improved on first Roads of Rome This building strategy - men running around doing your bidding - finish in expert - rebuild the city - game to this player is an improvement on the first Roads of Rome. There appears to be a better grip on the strategy part for me. 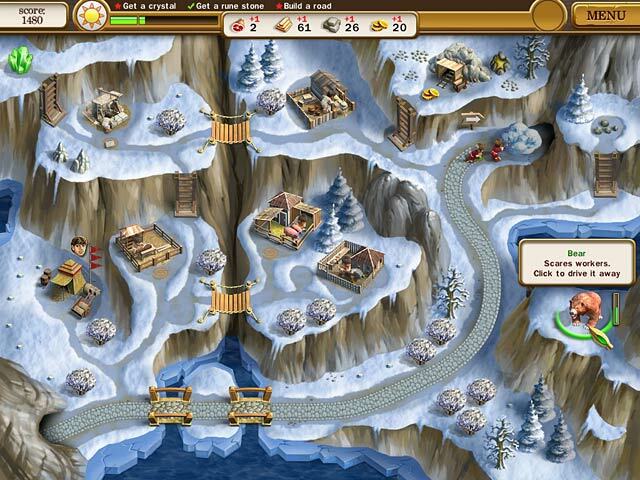 The later levels become quite hard and give you a good challenge. Sufficiently different story and graphics to be worth the purchase if you already have the first one. Rated 3 out of 5 by agurney76 from Can't stack actions II This is the same review for the other two Roads of Rome....I would love this game but you can't stack actions and have to wait til the guy gets back to the hut. Drove me nuts. I like that atleast you can stack one or two other actions in just about all the other games like this. I couldn't play more than 5 minutes. I recommend this game because it is ok for new players and maybe kids. Rated 3 out of 5 by cmgibson from Ok for little kids This game would be fine for small children but not much challenge for others. Rated 2 out of 5 by AverageSizeFish from This developer needs to get a queue This game would be excellent but you cannot queue tasks. This turns the entire game into a painfully slow, choppy, and annoying chore. Please developer just get a queue. Excellent time management games all have it, many of us like using it, why won't you just get a queue? I do not want to have to sit and watch the house my characters run back to the entire time I'm playing. If there is no queue that's just about all the game is about...watching that house waiting for the character to touch home base before I can do anything. In this game the problem is compounded by the fact that sometimes, even if you have someone available, they still won't do an assigned task. That feels sort of buggy to me. Another issue is that all the resource producing structures have the same sound when they produce something. Since I already have to focus my attention on home base to know when I can queue a task it's pretty annoying to have a generic beep tell me something is ready to be picked up. Now I have to scan the whole board to figure out which resource building has something for me to pick up. Just make each resource producing building make a unique sound like quality games do. I don't want to scan the entire board under these circumstances...I need to pay attention to home base so I can queue the next task. This game needs a lot of work to stand up with excellent time management games. I would suggest Northern Tales 4 or Gardens, Inc. 3. Both of those games allow queuing. Overall, this game is a frustrating disaster. It needs queuing and it needs unique sounds for resource producing structures. I bought it and I am not happy with it at all. I don't buy games to be frustrated and annoyed. Rated 2 out of 5 by godfreygirl from OHHH so slow....good for passong some time only! I bought both II and III of this game when there was a 2 for 1 sale and OHHHH do they play SOOO slow. I would never pay full price. After buying and playing all of the Northern Tale games, Kingdom Chronicles CE and a couple of My Kingdom for the Princess, this one pales in comparison. You can't multitask workers so you have to wait until one is through, there is no time meter above fruit trees to know when one will be full again, there is no way to know where to go when it says "the path is blocked"..........SO many things about this one and Roads of Rome III. You'd think they'd have improved it....not so. It's just as slow and gets very boring when you have to wait so long to get something done. ONLY good for passing some time IMHO. Rated 2 out of 5 by mrm2006 from What happened? I don't think it was "operator error" (meaning me) but I turned the volume way up and there was no sound which made it so boring I kept nodding off. The basis was the same as Road I. I believe it would be good for any level especially a beginner. I usually don't like these types of games but came across one I fell in love with so when I come across them again I will give it a try. Eventually I will probably get this as a freebie as I am definitely getting Roads I and am off to give Roads III a try. Even the video in Roads II had music so I don't know what gives. I need the voice overs in games and at least music in these types of games or I'll just sleep. Glam-ma rates this a disappointment.